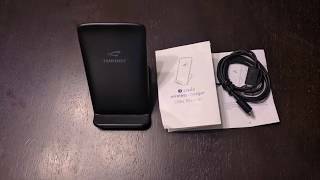 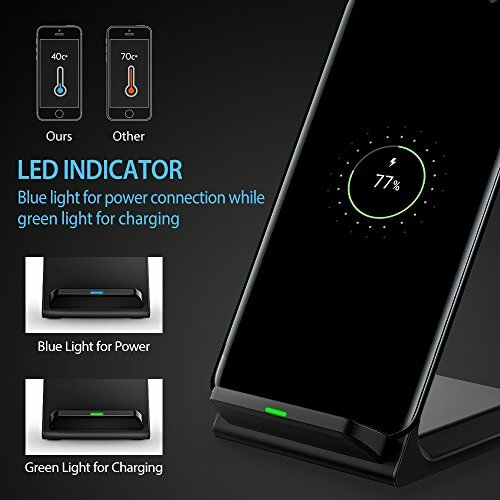 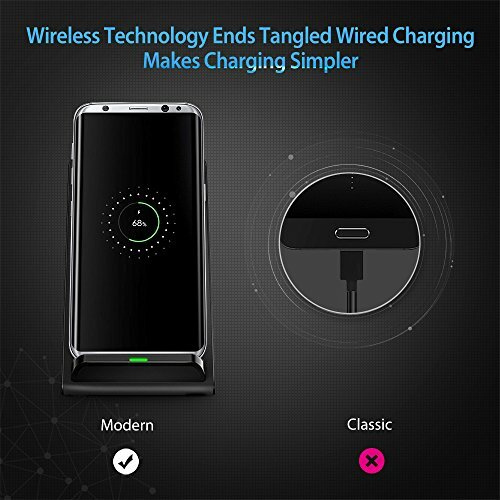 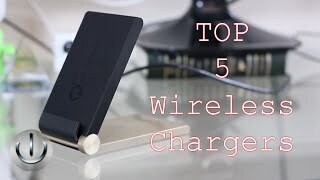 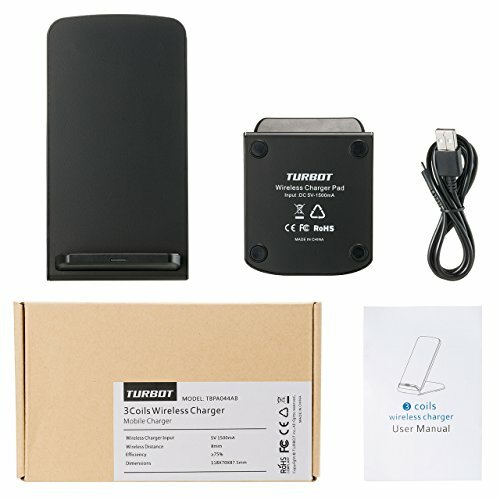 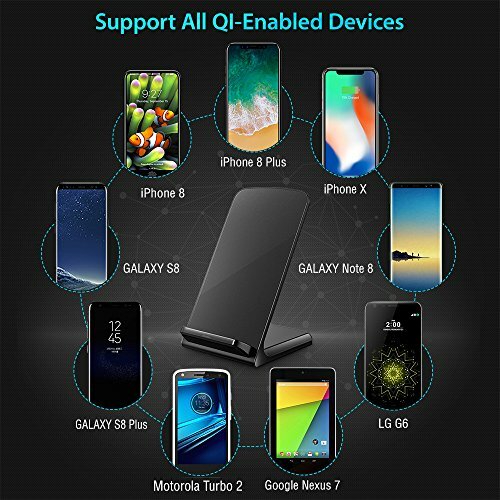 【3-COILS SUPPORT】: Built-in 3 coils offer you much WIDER CHARGING AREA that you can place your phone in the center of the qi wireless charger stand and save your time on waiting your phone getting fully charged. 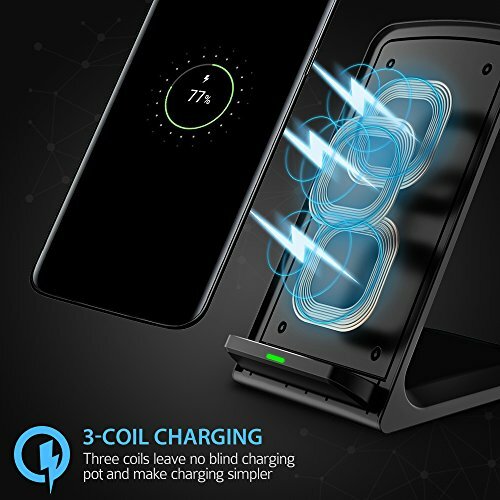 3 coils gives you a better charing experience than 2 coils. 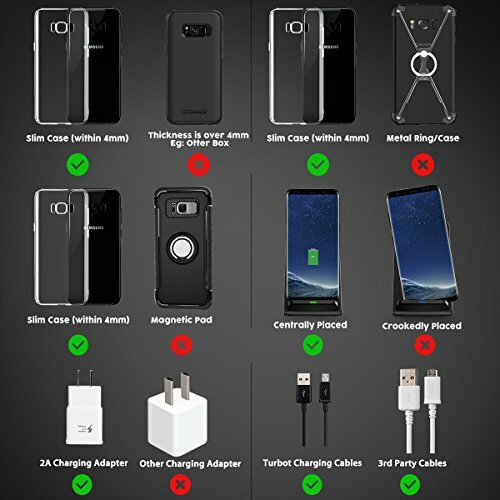 【COMPATIBLE FOR ALL QI DEVICES】: Compatiable for iPhone 8/8 Plus/iPhone X, Samsung Galaxy NOTE 8/S8 Plus/S8, S7/S7 Edge,S6/S6 Edge, Nexus 4/5/6/7(2013),Nokia Lumia 1520/1020/920/928,MOTO Droid Maxx / Mini / MOTO Turbo 2,HTC Droid DNA, Blackberry Z30 and all QI-Enabled Devices. 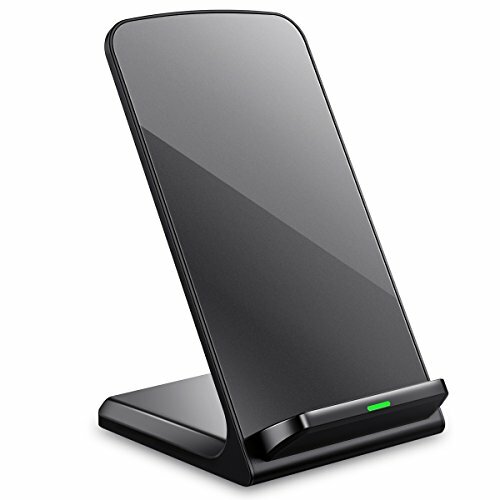 【ERGONOMIC DESIGN】: Holder stand design keep playing or reading on your phone while charging and answer a call without having to unplug. 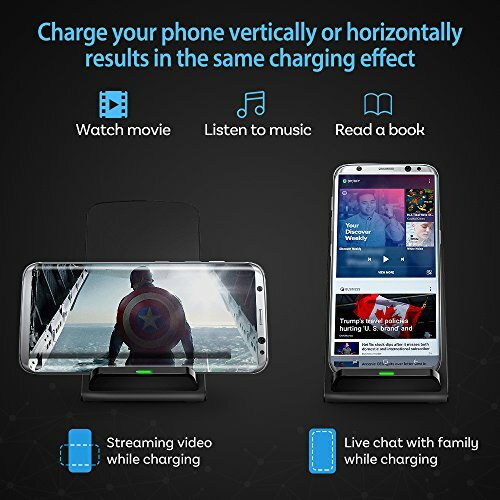 Portable, the bracket design makes it easy to see the screen, free your hands from holding the phone for a perfect viewing angle.